Editor's Note: Below is research note written earlier this week by National Security analyst General Dan Christman. To read more of our Macro Policy research email sales@hedgeye.com. The 1896 "Durand Line," which defined the border between Afghanistan and British-controlled India, and the 1947 partition of India that created the modern Pakistan state, consigned Pakistan to generation-long paranoia about its vulnerability to Indian invasions; these demarcations also created nightmares for western attempts to stabilize the always chaotic Afghan-Pakistan border, and since the 1980's, Afghanistan itself. Add to these nightmares last week's elections in Pakistan, which will catapult Cricket-star Imran Khan to be the next Prime Minister. Pakistan paranoia is understandable: the narrowness of the country led its military leaders to move the capital far inland, from coastal Karachi ultimately to Islamabad, to preclude attacks by the Indian Navy; and it embedded a desire in all Pakistani leaders to establish Afghanistan as Pakistan-influenced territory, to provide strategic depth against an India attack. Fear of India and the centrality of Afghanistan in Pakistan's strategic calculus have been core elements in the security policy of every Pakistani Prime Minster since independence; Imran Khan will be no different. First, for years, Khan has been stridently anti-U.S., including during this most recent campaign. President Trump not surprisingly has recoiled, not only to Khan's rhetoric but to years of Pakistan's courting of extremist elements, especially the Haqqani Network and the Pakistan Taliban itself. Trump has suspended over a billion dollars in U.S. military aid. White House spokesmen months ago made the point that Pakistan fence-sitting between extremists and the west has led not only led to the deaths of hundreds of American service members, but has made securing a viable peace settlement in Afghanistan impossible. Nevertheless, Imran Khan is unlikely to jump off the fence any time soon. Second, China sees an opportunity as U.S.-Pakistan relations sour. The PRC's "Belt and Road Initiative" ("BRI"), a 21st century "Silk Road" to tie China to the Middle East, Europe and Africa through infrastructure investment corridors, has clear strategic dimensions. One of the most obvious is the "China-Pakistan Economic Corridor" ("CPEC"), welcomed by Imran Khan but only deepening White House distrust. Finally, the Pakistan economy is poised at knife-edge. While economic growth remains positive, foreign currency reserves are at historic lows, the currency has plummeted by 20% over the last year, fiscal deficits are close to 6% of GDP, and a turn to economic bail-outs from the IMF seems inevitable. Khan's acceptance speech last week reflected his acknowledgment of the business and economic risks he faces. Again, it's why Islamabad's turn to Beijing is so strategically vital to the new PM; China is unlikely to say NO. Lurking behind every PM since Muhammad Ali Jinnah in 1947 is the Pakistan military, and especially the ISI, Pakistan's Interservice Intelligence organization. Imran Khan's relationship to the military is no exception. It's no secret that they influenced the election campaign over the last months by sharply constraining media opportunities for rival candidates and financially underpinning Khan's PTI party. Especially in light of the suspension of U.S. military support and Pakistan's need for every dollar of economic assistance, expect Imran Khan, despite his anti-U.S. rhetoric, to reach out to Washington. 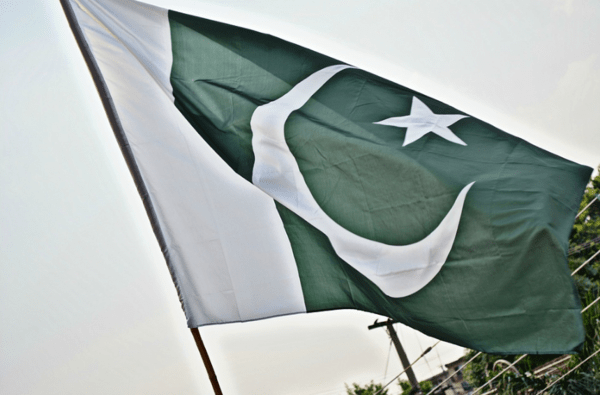 However, as former Pakistan Ambassador to the U.S. Hussein Haqqani reminds, there will be no basis for improvement in U.S.-Pakistan relations as long as Islamabad's views on India and its support for extremism remain unchanged. This is the sad reality faced by President Trump; and it is fundamentally no different from that faced by President Truman and all of his successors. India, of course, is not discomforted by these developments. But continued instability in Afghanistan, and growing Chinse influence with this former Cold War U.S. partner will be the unfortunate, even tragic, path forward, even with different political leadership in Islamabad.